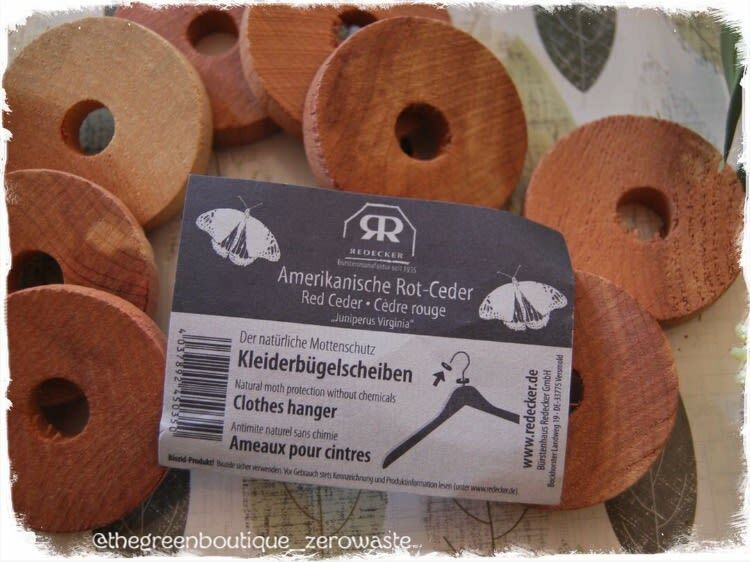 This pack of 10, natural, untreated red cedar wood disks - each measuring 45 mm diameter - is natural moth protection without chemicals. 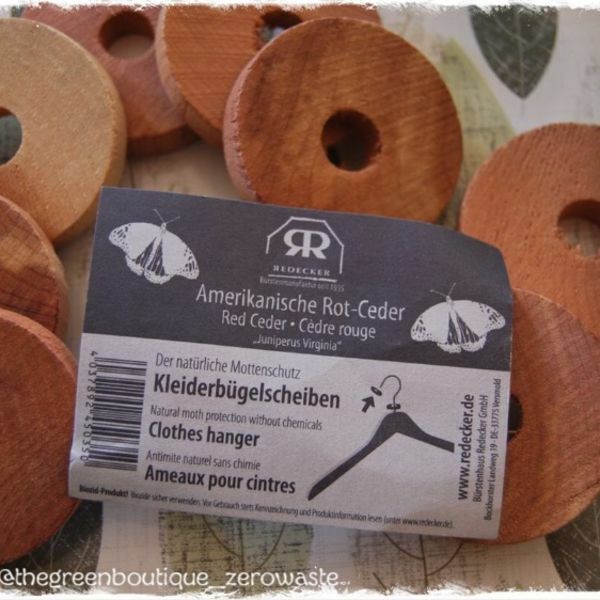 In fact, American red cedar has a fragrant aroma that is pleasing to people but repels moths. Use them in the wardrobe threaded onto clothes hangers to keep pests at bay. When the fragrance fades, rub lightly with sandpaper to restore the aroma or refresh them with our pure, red cedar oil. Environmentally friendly, American red cedar is cultivated under government regulations and is not endangered. This product falls within the EU directive regarding biocide guidelines and is labelled with biocide warnings accordingly, despite being natural, biological, moth repelling agents. 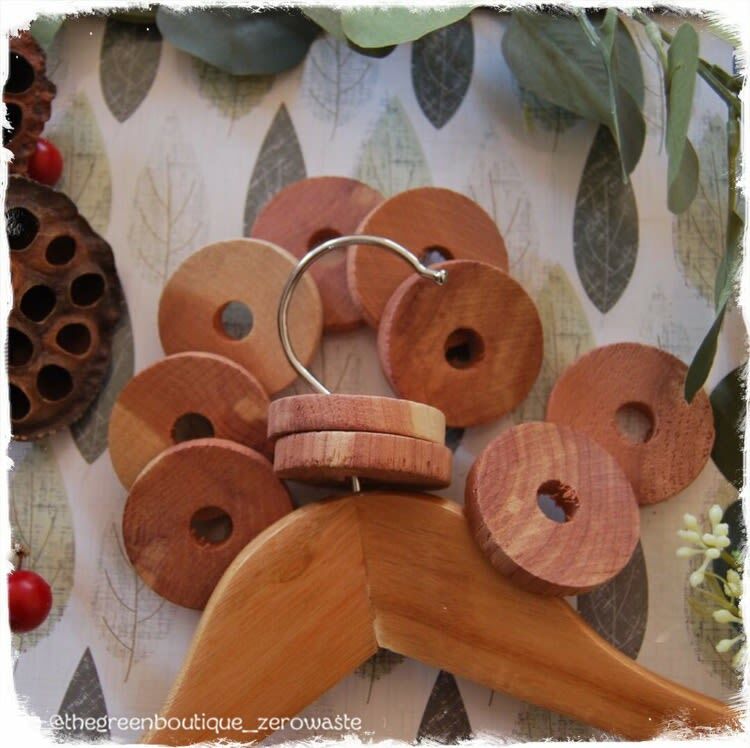 For wardrobe moth protection, place between 2 - 5 cedar pieces inside ensuring they are not covered by clothing, nor in direct contact with garments to protect clothing from the natural oils. For drawer moth protection, place 2 cedar pieces inside, preferably between paper to protect clothing from the natural oils.